(i) Restaurant services under section 65(105) (zzzzv) means services provided or to be provided to any person, by a restaurant, by whatever name called, having the facility of air- conditioning in any part of the establishment, at any time during the financial year, which has licence to serve alcoholic beverages, in relation to serving of food or beverage, including alcoholic beverages or both, in its premises. Thus, the service provider should satisfy the following conditions so as to come within the ambit of the said taxable service. a) the service must be provided by a restaurant. b) the restaurant must have the facility of air-conditioning in any part of the establishment. c) the restaurant must have licence to serve alcoholic beverages. d) the service must be in relation to serving of food and beverages. e) the service must be provided in the premises of the restaurant. (ii) Short term accommodation service under section 65(105) (zzzzw) means services provided or to be provided to any person, by a hotel, inn, guest house, club or camp-site, by whatever name called, for providing of accommodation for a continuous period of less than three months. The scope of this service has been clarified vide D.O.F No. 334/3/2011-TRU dated April 25,2011. Since then the department has come out with a Circular 139/8/2011- TRU dated May 10, 2011 so as to address the queries raised by potential tax payers. 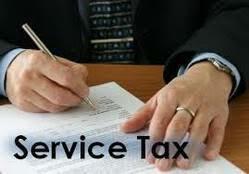 Now the issue came up is ,whether the Central Government has the constitutional right to impose service tax on the above two so called services. The legislative competence of the levy has been challenged before the Kerala High Court by KERALA CLASSIFIED HOTELS AND RESORTS ASSOCIATION on the following grounds. *Whether the Central Government has the constitutional right to levy service tax on the service portion involved in the transaction of sale of food and beverages by the restaurants. P.S. In Kerala State tax on food supplied in hotel is taxed under the Kerala Value Added Tax Act,2003. * Whether the Central Government has the constitutional right to levy service tax on the provision of accommodation by the hotel. P.S. In Kerala State renting of rooms in hotels are taxed under the Kerala Tax on Luxuries Act, 1976. The Kerala High court, relying on a land mark judgment of the Supreme Court, held that article 366(29A)(f) of the Indian Constitution empowers the State Government to impose tax on supply of food and beverages whether it is by way of service or as a part of service. Such transfer, delivery or supply is deemed to be a sale of goods and the provision of service is only incidental to such sale , hence price paid by the customer for supply of foods in a restaurant cannot be split up. The Kerala High Court, therefore, held that the levy of service tax by central government under section 65(105) zzzzv) is unconstitutional. Service tax on the provision for accommodation in hotels etc is challenged on the basis of entry 62 of list II of the seventh schedule of the Constitution of India which exclusively empowers the state government to impose tax on luxuries. The Kerala High Court relied on the supreme court judgment in Godfrey Philips India Ltd Vs. State of UP , to analyze the meaning of ‘luxuries’, and came to the conclusion that imposing service tax on hotels, etc, under section 65(105) (zzzzw) by the Central Government is unconstitutional. The High court also said that if any payment have been made by the petitioners on the basis of the impugned clause, they are entitled to seek refund of the same. The readers may see the cited decision in 2013-TIOL-533-HC-KERALA-ST. The author feels that, by this decision, the dilemma of classification between sale of goods and or services will be settled though department ,at its wisdom, may prefer appeal against the high court’s order.